Dr. Collichio is the American Society of Clinical Oncology (ASCO) representative to the Association of Subspecialty Professors (ASP) of the Alliance of Academic Medicine (AAIM). This organization determines policy and directs educational endeavors for Internal medicine and medicine in general in the United States. She is past chair of the ASCO Oncology Training Program Committee and past chair on the In-training examination, which is used to help train fellows in the United States, Canada, Ireland and other nations. Her academic mission is to advance training of physicians in the United States, particularly oncology trainees. Dr. Collichio’s clinical research mission is melanoma. She has been the principal investigator at UNC for more than 20 trials in melanoma. 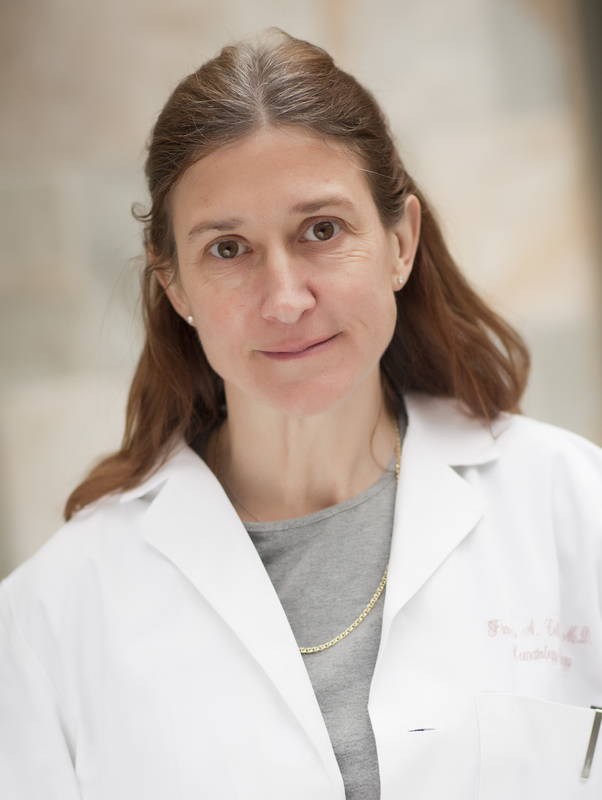 She has participated as an investigator in many of the seminal studies that led to approval of BRAF and MEK inhibitors, anti-PD-1 compounds, and further understanding of ipilimumab. She is an active investigator of talimogene laherparepvec, an oncolytic virus.